The first Litter Letters in ASIA recently debuted in CEBU, Philippines! 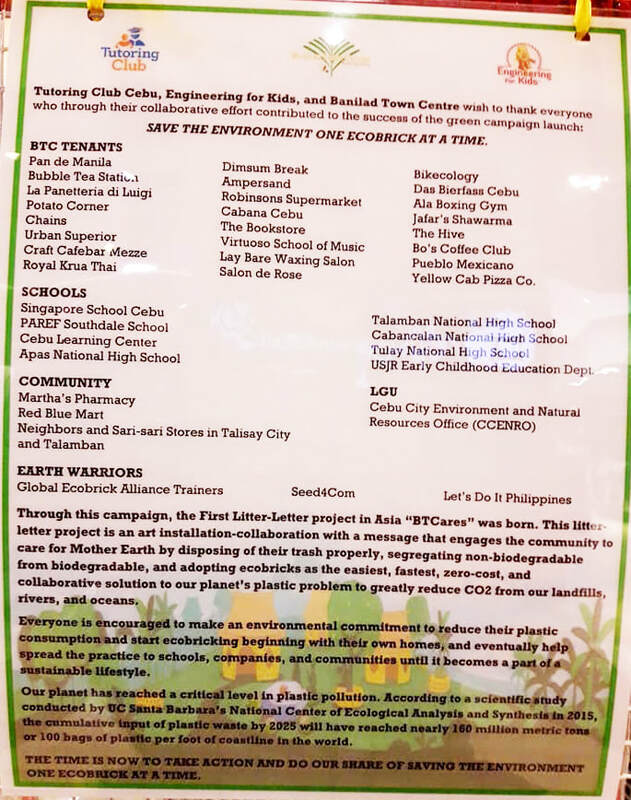 NOVEMBER 2017 ~ Tutoring Club Cebu, Engineering for Kids and Banilad Town Centre collaborated to create 'BTCcares' Litter Letters for their 'Save the Environment One Eco Brick at a time' event in CEBU, PHILIPPINES. 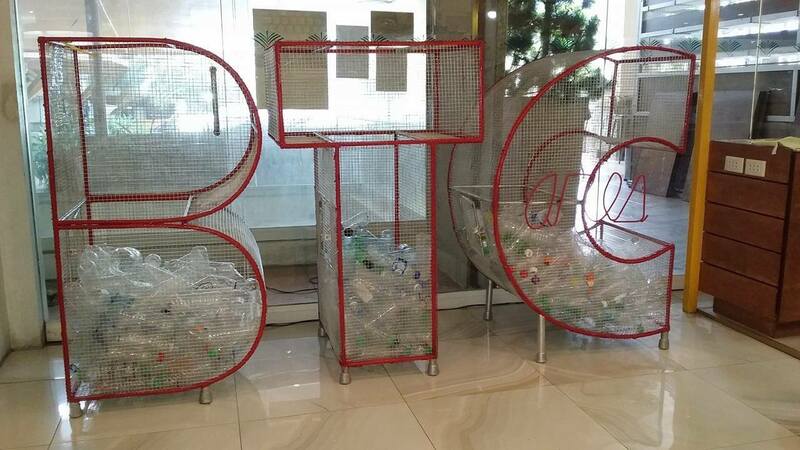 "Engaging the community by segregating non-biodegradable from biodegradable and adopting eco bricks as the easiest, fastest, zero cost solution to our planet's plastic problem. The greatly reduces CO2 from landfills, rivers and oceans." when they had the green campaign launch.